Home News What are the ‘gilets jaunes’ so upset about? 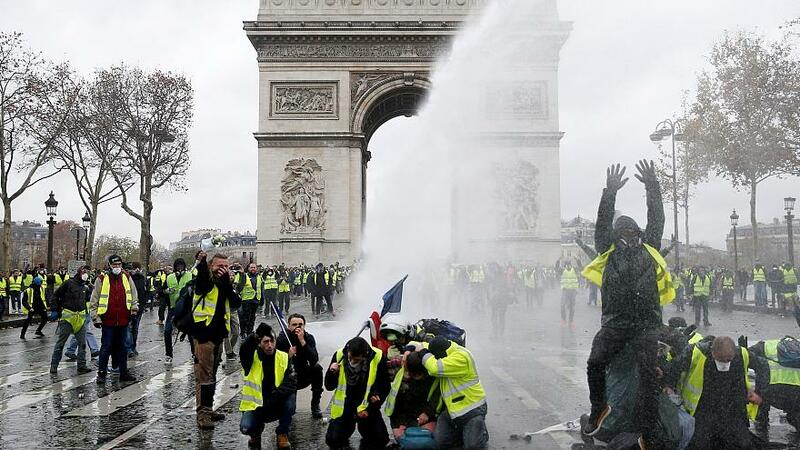 Protests by the “gilets jaunes” (yellow vests) are now into their third week. The movement started online as a protest against rising fuel prices but has spread to include people angry about higher living costs. 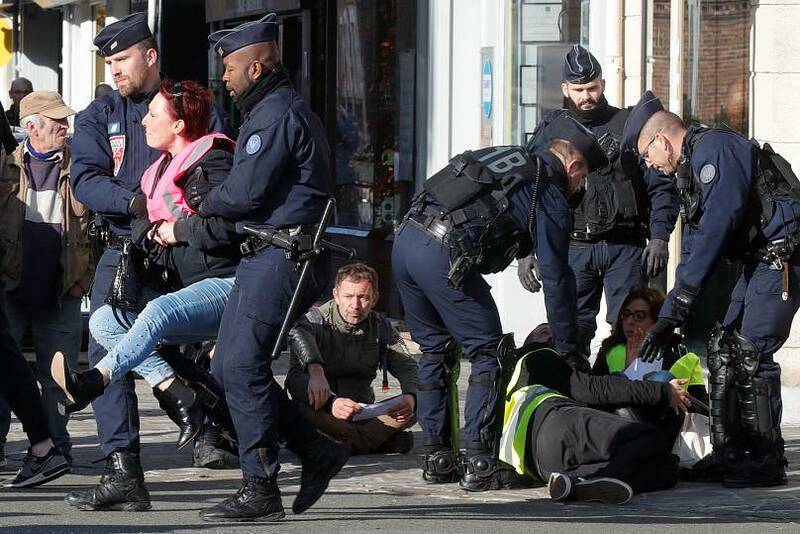 Demonstrators have blocked major roads across France and held violent protests in some of Paris’ fanciest neighbourhoods. Some protesters have sought to distance themselves from the radical and violent fringe elements of the movement. How did the ‘gilets jaunes’ movement start? Their core demands are to put a freeze on fuel tax increases — due in January — and measures to boost spending power. 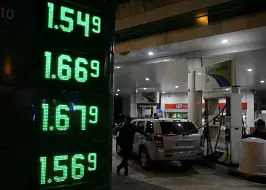 The hike in fuel prices is due to three things (two of which were decided by the government), Mathieu Chassignet, an expert on transport, told Euronews. A rise in crude oil prices in 2018 is the first reason why fuel prices have been high this year. The cost surged to a bit more than €80 per barrel in October although it has since dropped to the low 50s, high 40s in November. With a weak euro in regards to the dollar, this increase has been strongly felt by motorists. “The price of crude oil increased a lot from July to October this year, it only started going down this month,” said Chassignet. The second thing is an increase in the carbon tax, which is meant to limit greenhouse gas emissions. Introduced in 2014 under the Francois Hollande government, the carbon tax falls under the domestic consumption taxes (TIC) umbrella. The government has the objective to keep increasing this tax for the next few years (going from €39 in 2018 to €47,5 in 2019). Thirdly, the adjustment of the diesel tax with the petrol tax has particularly made diesel prices go up. Since the beginning of this year, the diesel tax went up by 7.60 cents per litre, while the tax on petrol went up by 3.90 cents per litre. How can you break down the price paid at petrol stations? According to a government breakdown on the prices of fuels, taxes make up 60% of the total price. The rest is subject to the price of the oil barrel. Fuel is subject to two taxes. The first one is the domestic consumption tax on energy products (TICPE), which comprises the carbon tax and a value-added tax (VAT). What are the taxes used for? The TICPE helps finance the general budget of the state — including eco-friendly projects — territorial authorities, and transport infrastructure. The government expects it to bring in around €7.8 billion in 2019. But environmentally-friendly projects are not only financed through this tax. Other taxes also contribute to the transition towards greener technologies. Why did the government decide to take these two measures? Chassignet said that the government was increasing the carbon tax so the country could keep its commitments towards fighting climate change and greenhouse gas emissions. As for the alignment of the diesel tax with the petrol tax, it became a government measure after studies showed that diesel was as polluting as petrol, said the expert. “So a heavier tax on diesel is meant to encourage people not to buy diesel cars,” he added. French Transport Minister Elisabeth Borne said the tax on diesel would increase by 6.5 cents per litre in January 2019. The tax on petrol is set to increase by 2.9 cents at the same time. The ministry expects the alignment of the petrol and diesel tax in 2022, leaving it at 78 cents per litre. What will the government do with the surplus money coming from the taxes? The government says they plan to use the extra revenue in eco-friendly projects that fight climate change. “Economic theory shows that if we increase the carbon tax, then CO2 levels will go down,” says Chastignet. “Even though the government does use the tax revenue to fund environment-friendly projects, there needs to be more transparency in how else they are using the extra money,” he said. Why is kerosene, fuel used by planes, not taxed? The highly-polluting kerosene cannot be taxed on international flights because a tax exemption was decided by an international agreement. A ratification of this agreement would need a unanimous vote by all 191 member states of the International Civil Aviation Organisation (ICAO). However, it is possible to tax domestic flights, said Chastignet. But this hasn’t been put forward by the government yet. What is the government doing to help the people who heavily depend on their car to go to work? There are government plans in place that are meant to help people who heavily depend on their vehicles for transport, such as a financial incentive to exchange old polluting cars for newer eco-friendly models. The government also offers a subsidy called “ecological bonus” to drivers who rent or buy an electric car. What other demands has the group added? In a statement sent to media outlets, the ‘gilets jaunes’ movement made public a list of 40 demands they were planning on presenting to the government. 2) A decrease in the price of gas and electricity and to renationalise both utilities. In another article, published in the newspaper Le Journal du Dimanche, a collective of gilets jaunes made another set of longer-term demands. More immediately the movement is asking for the freeze of tax hikes on fuel and the cancellation of technical controls on vehicles. “We want to reach an agreement quickly so the economy of the country can get back in good shape before the festive season,” wrote the representatives.